The marriage of John and Abigail Adams is one of the most extraordinary examples of passion and endurance that this country has ever witnessed. Theirs was a unique union, one based on mutual respect and ambition, intellect and equality. 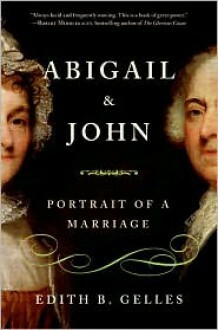 Using their letters, Abigail & John provides an inspirational portrait of a couple who weathered the trials of a revolution, and in so doing paved the way for the birth of a nation.